Increase the Value of Your SaaS Company. It’s no secret that Salesforce is a powerful platform. But it’s also a robust environment that can be difficult to navigate without proper guidance. Our advisory services team can help you start your Salesforce journey with the end in mind–enhanced performance and profitability for your business. Implementing Salesforce is one thing, but it’s a completely different game to get people to use it. It takes a shift in business practices and user mindset to harness its true power. Through instruction, training modules, and interactive demos, Simplus can help get your users up to speed. Just bought Salesforce but don’t have a clue where to begin? Well, we do, and we have the best implementation experts and partners to make your Salesforce streamlined, efficient, and of value to your organization. The maintenance and upkeep of your Salesforce instance can be tricky and might detract from the thing that matters most: providing services to your clients. Our diverse and available Managed Services team is here to help you maintain your platform so you are able to focus on your customers. Your Salesforce instance is up and running, but you may be able to get more business value if your platform is fully optimized. We are here to advise you on any changes or updates that you might need post-implementation. Whether it’s a Salesforce community, public-facing ebook, or B2B social media, you need great content to showcase your services to customers. We offer strategic guidance and asset creation to help make your content, PR, design, and web services shine. 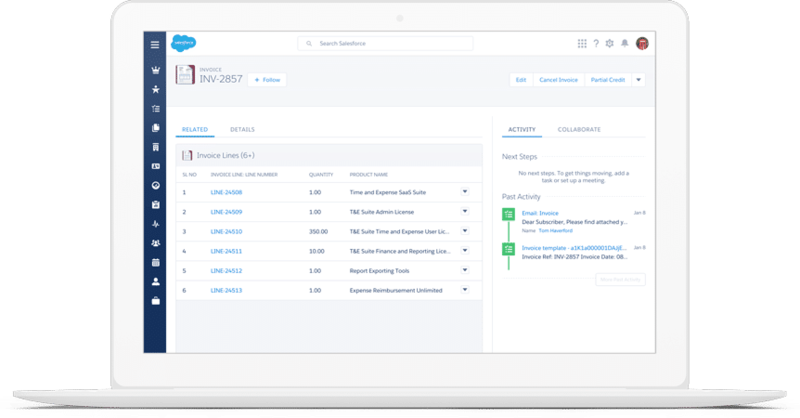 Configure, price, and quote quickly and easily with CPQ sales automation. Elevate and streamline your marketing efforts with the future of B2B marketing automation. Automate subscription payments and get paid faster with smart billing automation. Reimagine customer, partner, and employee engagement on the Community Cloud. Working with the Simplus team was a treat. My project manager always kept us moving forward, and my consultants were true rock stars. This product will be of great value to my organization, and I would highly recommend Simplus to anyone!